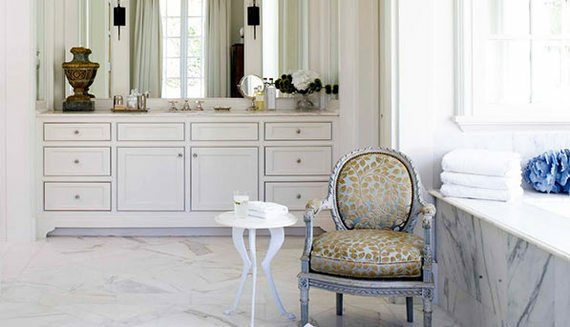 Beautiful bathroom renovations are the stuff of dreams. (Heated floors... rainforest shower heads... swoon.) 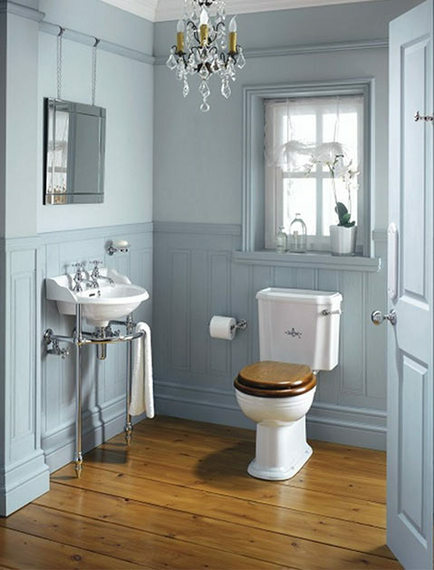 But beautiful bathroom renovations also cost, like, $15,000. 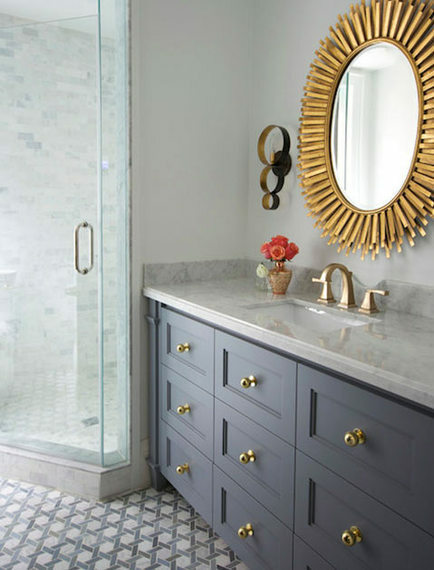 If you're not in a place to go full-on remodel, here are eight easy things you can still do--on the cheap. 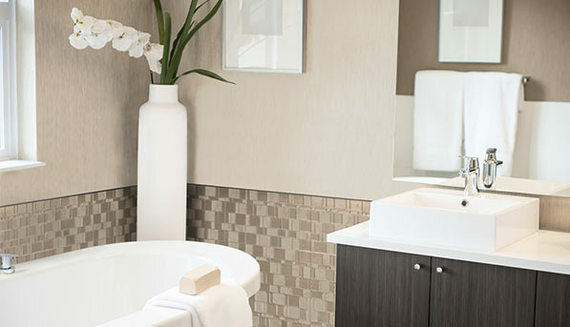 Hide a horrific tile backsplash with tile decals. Here's how. Spray paint old hardware with a shiny, new finish. Here's how. 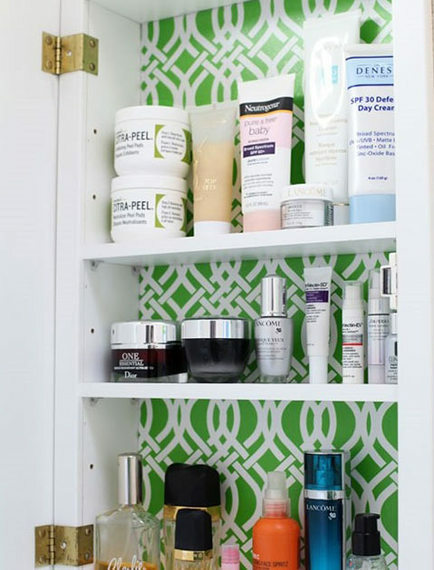 Brighten a medicine cabinet with shelf liner. Here's how. Bring in a piece of upholstered furniture. Here's how. 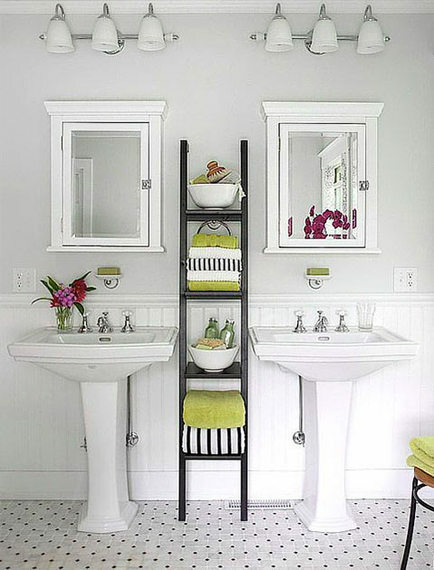 Use a ladder to stack towels. Here's how. Hang a crisp roman shade. Here's how. 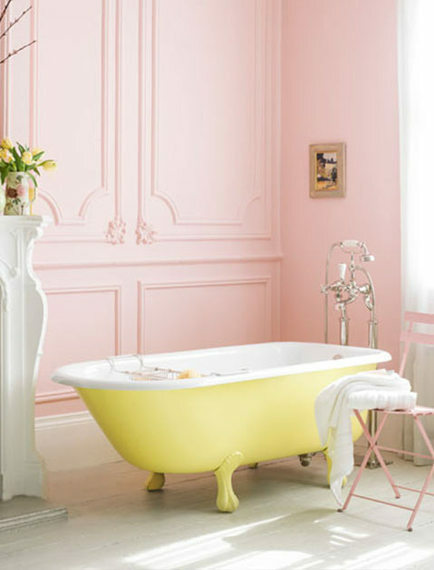 Paint a cast-iron tub a bright hue. Here's how. Install a chandelier. Here's how.